I just learned about a new website called: Mulu. It is basically Pinterest but supports charitable causes. Mulu’s tagline states: “Mulu is a social platform for sharing the things you love and finding the things you need. All while supporting fellow users and their causes.” So I am torn. 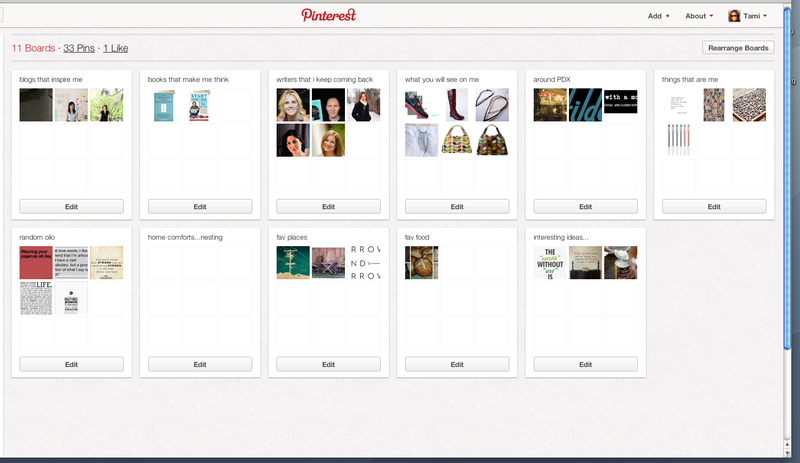 I have become a bit addicted to Pinterest. I love sharing things that I love or mean a lot to me with others. I like telling friends and family (or anyone for that matter) about a great deal. So I like sharing good things with others. It looks like Mulu is still in Beta, but just like I do not need two different ‘Facebook’ like platforms, I do not need Pinterest and Mulu. I would rather be on a site that supports other causes, but the dilemma is if your friends/family are on one site, is it worth joining the other? Also, a Pinterest account requires that you have a Facebook or Twitter account or you cannot join. Mulu does not require a Facebook or Twitter account. Here is a bit of press and background details about Mulu and Mulu vs. Pinterest. An interesting part about Mulu (which I am still on the fence about) is that Mulu, the charity, and the poster receives a cut of the profit if someone purchases an item based on your boards. So you actually make money from sharing what you love. I am not sure if that would deter people, or make them more interested. Imagine if you made money for each person you friended on Facebook?